Search for Active Adult New Construction Communities in Monmouth County NJ. There’s nothing quite like a new house where everything is new, neat and clean. And then begins the fun of decorating for the first time. But remember, it’s in your best interest to have a Realtor represent you. And not just any Realtor will do. In fact, you should have a Realtor who is experienced in new construction sale accompany you. You see, in reality, the sales people you’ll meet in the sales office work for the builder. These people don’t work for you, and also they don’t necessarily look out for your best interest. However, Bunny and Art Reiman are experienced in new construction sales. And indeed, they have sold many new construction homes. And because of that, they can save you thousands by recommending which options to get from the builder, and which options not to get. 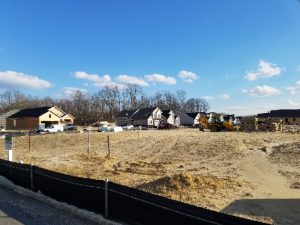 When you’re looking for where to find Active Adult Over 55 Community New Construction Homes in Monmouth, Ocean and Middlesex counties in NJ, this site gives you the information you need. To find information on a community, click on the community name below. Then when you find a community that looks interesting, contact the Reimans – Central New Jersey’s Active Adult Community Specialists. Call the Reimans at 732-598-7700 – because they can help guide you through the process. Do you want to see active adult community resales in Monmouth or Ocean counties? Perform your own search for your new home today.